As we were saying in the last post, we all know (don’t we, or am I in some minority group of losers?) that feeling of being just stumped. Social convention or genuine desire to give a gift to another has us thinkin’ and browsin’ and frettin’ as the hour grows neigh. Some people are just hard to buy for, as the saying goes. 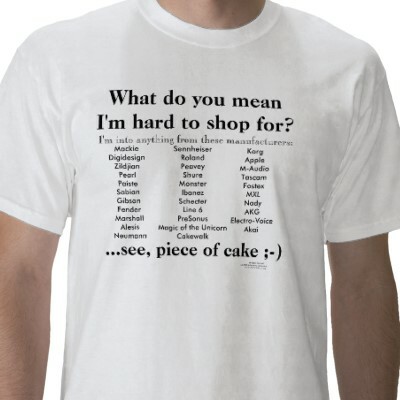 Suppose you want to give a helpful, meaningful gift to a loved one or friend. Not socks. Not booze. Not a blender. Certainly not a fruitcake. A book? Yes, a book! Common Prayer: A Liturgy for Ordinary Radicals Shane Claiborne, Jonathan Wilson-Hartgrove, Enuma Okoro (Zondervan) $24.99 I raved about this when it came out, just one year ago and are pleased to be in touch with some of the communities that gave rise to this wonderful book of prayers, Scripture readings, collects, and songs. From the well-worded ecumenical prayers, the hints of social justice, the artfully enhancements of engravings and woodcuts, the ribbon marker—this is the real deal, a useful resource that has a tone and Biblical basis that is just right. Highly recommended. Socrates in the City: Conversations on “Life, God, and Other Small Topics” edited by Eric Metaxas (Dutton) $27.95 In what is surely one of the finest books of the year, Mr. Metaxas collects lectures that have been given in his wonderful New York lecture series from which he draws the title. (And he introduces each speaker with verve and joy.) In fact, Eric asks “Who said that the exploration of the Big Questions and fun can’t go together? It was probably La Rocherfoucauld, but who cares what he thinks. Seriously, I think that the fun we have is vital to what we do. We know that no matter how serious the subject (suffering, evil and death, for example) we will enjoy ourselves. We hope we’ve captured something of that juxtaposition between the covers of this book.” He certainly did. Find here excellent pieces by Os Guinness, Sir John Polkinghorne, N.T. Wright, Jean Bethke Elshtain, Francis Collins and others. Eric’s chapter on Bonhoeffer is a brilliant summary of his massive book on the German martyr. This is a very great, handsome gift for the educated reader of excellent taste. THIS WEEK ONLY WE HAVE THIS AT AN EXTRA DISCOUNT, 30% OFF THIS ONE. Jesus Christ and the Life of the Mind Mark Noll (Eerdmans) $25.00 Our store was a huge promoter of Noll’s very important Scandal of the Evangelical Mind, published a decade ago. This is more than a sequel to that significant work but it is at least that. If your gift recipient has followed any of the discussions around the integration of faith and learning, or the lack of serious intellectual contributions by evangelicals, especially, this Trinitarian, Christological perspective on thinking well will be much appreciated. If you aren’t aware if they have followed all that, no problem; this is a fantastic way to inspire new thinking about the life of the mind, the role of the scholar, the task of thinking or writing or teaching or learning. Highly recommended. THIS WEEK ONLY WE HAVE THIS AT AN EXTRA DISCOUNT, 30% OFF THIS ONE. Taking Everything Thought Captive: 40 Years of the Christian Scholars Review Don King, editor (Abilene Christian University Press) $25.00 I have tried hard to sell this since it came out earlier this year as it is truly extraordinary—a fabulous example of the very best of intregal Christian scholarship, including important essays in the arts, humanities, sciences and social sciences. A few are particularly about higher education, a few are a bit more specific than most readers may care about but most will be enjoyed by your scholarly friend, whether they have their post-doc cap on or not. Contributors to this “greatest hits” of what I call the best least known journal I know of include Carl Henry, Mark Noll, Nicholas Wolterstorff, Stanley Hauerwas, Alvin Plantinga, Dallas Willard, Elizabeth Newman, Brian Walsh, Art Holmes, Ronald Sider, Mary Stewart Van Leeuwen, Jonathan Chapline, Jenell William Paris, Nancy Ammerman, Roger Lundin and many more. If your egghead friend doesn’t know these names, he will be glad you introduced them. Brilliant! Brilliant! Brilliant! With Sacred Threads: Quilting and the Spiritual Life Susan Towner-Larsen & Barbara Brewer Davis (Pilgrim Press) $25.00 Bet you didn’t know about this, didja? As it is put by Rev. Dr. Howard Friend—himself a radical writer about the integration of contemplative spirituality and social action—“a quilt will no longer be merely a collage of color or a tasteful arrangement of fabric once you have read With Sacred Threads...” Much like scripture, a quilt tells a story and echoes of voices far beyond what a mere hasty glance reveals.” Know a quilter who is also a “meaning-seeker”? Or, as one UCC leader writes, it may help those who “doubt the proximity of play and prayer.” Pretty to look at, too, on glossy paper, with lovely reproductions and a good design. Tutu Authorized Alister Sparks & Mpho Tutu (HarperOne) $29.99 You know, I heard a number of people at our book displays at events this fall tell us that they hoped somebody would get them this for Christmas. It is just that kind of a book, a lovely cover, a hefty feel, an enormously important figure, and a light touch in telling the tale. Nelson Mandela once said about Tutu, “Sometimes strident, often tender, never afraid, and seldom without humor, (his) voice will always be the voice of the voiceless.” The forward is by Bono, who calls Tutu his boss. Where does Tutu get this compassion and humor and hope? What a story! Curiosities of the Civil War: Strange Stories, Infamous Characters, and Bizarre Events Webb Garrison (Nelson) $19.99 This is a 550-page hardback and this quirky study of odd backstories will give your friend a deepened understanding of the war and the real people that engaged in it. For instance, readers will discover the first sitting president to be exposed to enemy fire. What badgers, pigeons, and bear cubs had in common during the war. Which of Stonewall Jackson’s limbs received its own proper burial. The turtle-shaped ship designed to douse its opponents with boiling water. Which Confederate general was responsible for introducing camels to the Southwest. You can’t make this stuff up. Traveling at Home Wendell Berry, wood engravings by John DePol (Counterpoint) $22.00 This was an older poetry book of Mr. Berry now gloriously reissued in a gorgeous, thin hardback with great woodcuts. Fifteen poems and one essay (previously published) was issued as a limited edition in 1988. Cheers! Farming: A Handbook Wendell Berry (Counterpoint)$15.95 It is nice to see this early but justly famous volume in a fine-looking new paperback after being out of print for decades. Berry says in the forward that he worked a bit on one poem, but most remain untouched since their first publication. At Home With God: A Complete Liturgical Guide for the Christian Home Gavin Long (Paraclete Press) $26.99 Endorsed by the likes of Michael Card and Scot McKnight, you can be assured this isn’t anything odd or off-base. Phyllis Tickle notes “Too many of us have been removed for too long from the discipline of family prayers and the grace of domestic worship. May this life-giving manual be the first of many that herald the re-introduction of those ancient ways into our future.” If Phyllis Tickle’s words will appeal to the people your thinking of, buy them this and give it before the New Year. The Bible Story Handbook: A Resource for Teaching 175 Stories from the Bible John Walton & Kim Walton (Crossway) $24.99 This isn’t about parenting, or even home life, really, but any parent wanting to do Bible study at home could use this educators guide to how to faithfully explore key Bible stories. Home schoolers or others who want a bit more than a typical inspiration meditation will appreciate the seven elements examined in each story. Happily, as Starr Meade writes, it goes beyond thinking of Bible stories as “stand alone episodes that provide moral instruction based on imitating human characters in the stories.” No, God is the key actor here, and the plot pushes us to see the history of redemption unfolding to it’s climax in Christ. Very useful. Heroes & Villains of the Bible: Real Stories (Tommy Nelson) $14.99 I suppose many families have those hard-to-sit still boys (usually boys, I guess) who light up most when something gross or weird happens. They love daring and adventure, treachery and heroism. The Bible can be misused along these lines, so parents should be careful but there is a sense in which these adventure tales do teach us important insights. The graphic novel type artwork and the conversation starters at the end of each story makes this a possible gift for a kid who just might not pick up any other sort of Bible story book. The Biblical text is the easy to read CEV. By the way, call us if you’d like to hear about other such Bibles, The Action Bible (all cartoons) or the Manga one. Fascinating. A Place at the Table: 40 Days of Solidarity with the Poor Chris Seay (Baker) $13.99 On the heals of the Advent Conspiracy, Seay went deeper into the journey of caring for the poorest of the poor. This takes readers on a journey of self-examination (drawing on the Biblical themes of wilderness and temptation and the practice of fasting) inviting us to use these Scriptures to eat less, serve more, and prayerfully read through this guide to the needy around the world, country by country. There will be a DVD curriculum that some will be hearing about, no doubt, but you can bless your friend that has a broken heart for the poor and honor the refugee Babe whose birth we celebrate. What an appropriate, challenging gift. I hope you know somebody who cares about this and that you are able to share this new resource as a way to affirm their passion or interest. Teaching and Christian Practices: Reshaping Faith & Learning David Smith and James K. A. Smith, editors (Eerdmans) $22.00 Several years ago social researchers and theologians Craig Dykstra and Dorothy Bass placed the word “practices” on the table of Christian conversation and in recent years there has been much consideration about what Christians habitually do as we practice our faith. Then, James K.A. Smith wrote one of the most talked about religious books in years, Desiring the Kingdom, wondering how liturgies (secular or faithful) shape our habitual practices as we embody our worldviews. Here, beloved Calvin College educator and foreign language professor David I. Smith and philosophy prof James K.A. Smith lead a gang of a dozen philosophically minded Christian college professors to reflect on how Christian practices of embodied discipleship actually influence how they teach. Dykstra & Bass join with a forward, noting how their work on practices has been received and advanced in this remarkable symposium on teaching practices to college students, and how spiritual practices effect the art of teaching well. A rave blurb on the back is from Perry Glanzer, the well known educational academic from Baylor. Food, Farming, and Faith Gary Fick (SUNY) $21.95 This is an academic study by an evangelical Christian professor of agriculture at Cornell. Nothing quite like it, a serious, good, helpful bit of research on the relationship of faith and farming, the Bible and agriculture. If you know anybody studying farming or is a Christian, that a book like this exists from such a reputable academic press will surely surprise them. You will be their hero for turning them on to the work of Dr. Fick. Food Rebels, Guerrilla Gardeners, and Smart-Cookin’ Mamas: Fighting Back in an Age of Industrial Agriculture Mark Winne (Beacon) $24.95 hardcover, $16.00 paperback. Okay, not everybody wants to take on the system, work for social change, or analyze every aspect of their daily shopping, eating, consuming. But a lot of people do, as this amazing book attests. This is fun, feisty, revolutionary, a manifesto for ordinary folks who are both foodies and perhaps also interested in making a difference in sustainable ways. Yeah! You have to know somebody like this, don’t you? Google Mark Winne and watch his youtube videos about the book and you’ll want one for yourself, too. A Time to Plant: Life Lessons in Work, Prayer, and Dirt Kyle Kramer (Sorin) $15.95 Rooted in the Benedictine traditions of physical labor, this farmer shares his stories of prayer, hospitality, and, as the title says, dirt. This is humble, graceful writing, the sort that leads writer Scott Russell Sanders to say “one comes away feeling it was love that set Kramer’s words flowing—love for a place, for his wife, and their young children, for good work, and for the mysterious ground from which everything rises.” Catholic spirituality about making a living off the land. Food & Faith: A Theology of Eating Norman Wirzba (Cambridge University Press) $24.99 I don’t know if you have anybody on your shopping list that does serious theology but if you do, I bet he or she eats. So if you know anyone who wants to bring together in-depth reflection on a Christian view of food, this is the creme de la creme. Or maybe I should say it is meaty. Wirzba is Research Professor of Theology, Ecology, and Rural Life at Duke Divinity School. Food Rules: An Eater’s Manual Michael Pollan, illustrations by Maira Kalman (The Penguin Press) $23.95 You may know this charming and very helpful pocket guide that Pollan did after his mega-selling Omnivore’s Dilemma. This new enhanced hardback version has illustrations, heavier paper stock, and a new introduction. Makes a really nice little gift. Redeeming Law: Christian Calling and the Legal Profession (IVP) $24.00 Every profession should be so fortunate as to have a book just like this. Thoughtful, seriously rooted in an coherent, Biblical worldview but equally engaged with the best modern scholarship, helping believers honor Christ in their lawyering by considering legal work as a Christian vocation. Called to Care: A Christian Worldview for Nursing Judith Allen Shelly & Arlene Miller (IVP) $25.00 We have a handful of excellent books for nurses, but we most often recommend this as the most important, foundational book for anyone in health care. Love it. If you know anybody in the healing arts—physical therapists, doctors, nurses, dentists–this is a must-read. They and their patients will thank you. For someone who likes to write or keep a journal. 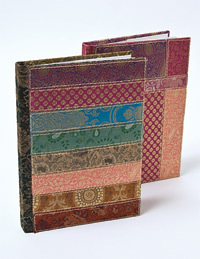 Banaras Sari Quilt Journal (C & T Publishing) $19.95 These are elegant, 8 1/2 x 11 journals, crafted beautifully, collaged with silk brocades from recycled saris in the ancient city of Banaras, India. These are made from sari’s, which themselves were once made on handlooms in the region) and each one is different. They are vividly bright, sparkly, even–stunning. This is a wonderful example of fairly traded items and job creation. The sturdy journal includes good paper, 160 pages, about 2/3 unlined, about a 1/3 small graph paper. Very cool. And God Spoke to Abraham: Preaching from the Old Testament Fleming Rutledge (Eerdmans) $30.00 This ought to be called “sermons from the Old Testament” as it isn’t really about how to preach, just a huge collection of great messages on the Older Testament. Rutledge is respected Bible scholar, Episcopal priest and elegant communicator. No one who loves the Bible will fail to find great insight here and hours of study and enjoyment. A new collection of sermons or essays by Rutledge is nearly a publishing event and this just-released 420 page paperback would make a fantastic gift. Old Testament Wisdom Literature: A Theological Introduction Craig Bartholomew & Ryan O’Dowd (Baker Academic) $30.00 I raved about this when it first came out and it is certainly the most interesting, illuminating–dare I say wise?–study of the important wisdom literature I have yet read. The first over section is just brilliant and I’ve read it more than once…very useful for anyone interested in Proverbs and Psalms and such. A helpful blend of scholarly research and some practical application, with a good sense, too, of how these portions of the Older Testament fit in with the rest of the redemptive narrative of Scripture. A New Testament Biblical Theology: The Unfolding of the Old Testament in the New G. K. Beale (Baker Academic) $54.99 Okay this isn’t for any simple Bible reader and won’t fit in most normal stockings, either. But under the tree, this tome will be the highlight of somebody’s day–of somebody’s year–if they are serious about this sort of top-notch, heavy-duty, intellectually rigorous evangelical scholarship. Greg Beale is a genius, no doubt about it, and this is a long-await resource that was just recently release. A very important subject, too, about which not enough is written. Excellent. For a person who is theological conservative and you wished they had a greater social vision or for a person who is not theologically conservative and you wished they appreciated evangelical thinkers more. Bloodlines: Race, Cross, and the Christian John Piper (Crossway) $22.99 This is one of the most moving, thoughtful, and important books of the year. John Piper is one of the most important voices of the seriously Biblical, evangelical movement and a well respected Baptist pastor, author, and speaker. Here he names racism as a sin, reflects on ways to bring Godly reformation to society, and shows that the gospel of Christ is the only answer to the quandaries of racism and other social ills. He hits this hard, repents of this horrific sin, and calls his readers to be agents of gospel-centered reconciliation. Generous Justice: How God’s Grace Makes Us Just Timothy Keller (Dutton) $19.95 Readers of BookNotes know of our respect and appreciation for Tim Keller and his fruitful work in New York. Surely one of the finest evangelical writers of our time, this little hardback makes a great gift, perfect to show that those who make most of the cross of Christ should also be those who live out the gracious doctrine of justification by being agents of justice. Solid, orthodox, reasonable, but a very compelling call to social engagement, civic service, cultural renewal and concern and action for the poor and oppressed. Excellent. The Love Wins Companion Rob Bell & David Vanderveen (HarperOne) $13.99 Rob worked with his friend David to pull together this remarkable study guide, a companion volume that has extra bonus material for each chapter of Love Wins, a good reflection by Vanderveen (basically, this is what Rob was getting at in this chapter and here’s some ways to think about it) and a good article by another person that ties in to the theme of that chapter. (Having these great pieces in one place is worth the price if the book and includes articles or excerpts by Pope Benedict XVI, Cathleen Falsani, Donald Miller, RIchard Mouw, Frederick Buechner, Oswald Chambers, N.T Wright, Anne Lamott and more.) There is a Bible study for each chapter, and then helpful group exercises and lots of discussion questions. This is not a simple little discussion booklet, but a major resource, helping you understand Bells’ main claims and other teachings, work through his argument in the book, and talk through (civilly) the contentious theological stuff that has caused such a furor. There is a little interview with Bell, an appendix of quotes from church history, and everything you need for a more fruitful study of the book. This could be volatile, so choose carefully. Maybe add some Christmas candy to sweeten the deal. Life in God: John Calvin, Practical Formation, and the Future of Protestant Theology Matthew Myer Boulton (Eerdmans) $28.00 This brand new books overturns the common assumption that Calvin was austere, strictly intellectual, arguing that for Calvin, theology is properly conceived and articulated primarily for the sake of everyday spiritual formation. He opposed the monasteries in order to “democratize the spiritual disciplines.” This is a strong and weighty book, making a case that worship, prayer, delight, and spiritual formation are at the heart of the best theology. Letters to a Young Calvinist: An Invitation to the Reformed Tradition James K.A. Smith (Brazos) $14.99 This pocket paperback is a wonderful stocking stuffer for someone (perhaps a student) who has become enamored of a strident sort of Reformed thinking, and who defines that only in doctrinal terms about predestination and such. Smith has been there, too, a rather belligerent convert to Calvinism, but he slowly grew more aware of the broader tradition, how to be more ecumenical, and, particularly how to plumb the depths of generous Reformed thinking to equip folks to live well, serving God graciously in all of life. Very, very nice, written as a series of pastoral letters. Well, mostly pastoral emails. Somebody will thank you if you offer this gentle guide to greater depth. seen in decades of book-selling about a theology of humor that is, in fact, really funny. This guy is an esteemed teacher about spirituality, a beloved author about the Jesuits, a solid thinker and—who knew?—a real stitch. As he was researching earlier books he kept finding really funny stuff about the saints he was studying and finally felt free to go for it, writing this clever and witty study of the goodness of laughter. Somebody you know would get a real kick out of this, no? Do it. They’ll be happy to see this, believe me! Christian Outdoor Leadership: Theology, Theory, and Practice Ashley Denton (SmoothStone Publishing) $24.99 There is no other book like this, a study of using outdoor trips and camping as methods of evangelism and disciple-making. There is less in here about creation care and nature appreciation then there could be, but it is strong on doing ministry in the great outdoors. Want to help our wilderness guy or gal to become Christian leaders as well. This is a rare find which will surely get their attention. Nature as Spiritual Practice Steven Chase (Abingdon) $18.00 The close up photo on the cover shows a flower and it draws you to attention. Which is as it should be as this is a thick, rich account of paying attention to nature, to being in creation as a way to grow in faith and maturity. This includes quotes from nature writings and classic spiritual writers. Beldan Lane (the genius behind the impressive book on deserts and wilderness, in his hiking and in the Bible, The Solace of Fierce Landscapes) writes that these great lines are “full of riches both thoughtful and practical.” SPECIAL SALE DEAL, THIS WEEK ONLY: Chase has a companion volume, A Field Guide to Nature as Spiritual Practices which is thinner but includes a very nice set of devotional experiences. WE WILL GIVE YOU ONE OF THESE FREE WITH A PURCHASE OF Nature as Spiritual Practice. An $8.00 VALUE. Wisdom of Wilderness: Experiencing the Healing Power of Nature Gerald May (HarperOne) $13.99 Who knew that this contemplative psychotherapist was such an outdoorsman, and sought to find God in the wilderness, learning from the austere beauty of creation. Parker Palmer wrote the lovely forward. Wonderfully written, including a grand story about a wild bear. Water, Wind, Earth, & Fire: The Christian Practice of Praying with the Elements Christine Valters Painter (Sorin) $14.95 Organized around the “Canticle of the Creatures” by St. Francis of Assisi this Benedictine Oblate offers very concrete ways to explore the symbols of creation, the mystery that holds it all together. Very nicely done, reflecting on nature in a deeply Christian way. Testing Scripture: A Scientists Explores the Bible John Polkinghorne (Brazos) $17.99 Sir John is surely one of the major thinkers of our time, with degrees in physics and theology. As an Anglican priest he has written much about the faith-science conversation (and won the Templeton Prize in 2002.) Here, as the title suggests, we have Polkinghorne’s view of the Bible, its themes, ambiguities and truths. Brand new. The Mind and the Machine: What It Means to be Human Matthew DIckerson (Brazos) $19.99 This is a wonderfully written book, making a great gift for anyone who wonders about faith, science, biochemistry, neurology, or a Christian view of anthropology. Dickerson is a professor of computer science and environmental studies at Middlebury College so has a very keen eye for good writing and serious cultural analysis. Progress? This complex but fascinating book asks whether progress is reducing our ability to be fully human. Amazingly rich, very diverse, a thoughtful gift for all kinds of readers. Phantastes: A Faerie Romance for Men and Women George MacDonald (Hendrickson) $19.95 There has been a paperback or two of this vivid, poetic novel from the late 1800s—it enthralled many, most notably G. K. Chesteron and C. S. Lewis, but this is a very handsome, approximating, it seems, the look and feel of an original illustrated hardback of this sort. The text is in colophon, the 33 historic illustrations by Arthur Hughes, newly colorized in a gentle pastel. The back covers suggests this will “transport readersinto a world between dreams and reality where splendor andhorror battle for the human heart.” Very impressive. uck (Scholastic; $29.99) that came out earlier in the fall. Sketchy Behavior Erynn Mangum (Zondervan) $9.99 It asks on the back if this character is “drawing conclusions or drafting disaster?” Ha–this story is about a 16 year old gal with two notable talents: art and sarcasm. Her excellent drawing helps police find a murderer and she goes from local hero to possible nexxt target. This is a snarky drama, a bit of a crime story with some typical teen shenenagins along the way. Fun. There You’ll Find Me Jenny B. Jones (Nelson) $12.99 This is considered juvenile fiction but the themes are fairly heavy. There is grief, a journey to Ireland, love. A character who is a teen heart-throb is (yes) filming a vampire movie. The main character is not impressed. There is a reading group to help readers explore the story and message. Black, White, Other: In Search of Nina Armstrong Joan Steinau Lester (Zondervan) $15.99 This is a very good novel, seriously written in a way that allows readers to really understand the feelings of the main character. Her name is Nina and she is bi-racial, which causes serious confusing and perplexities in her idenity, even as racial tensions swirl around her. She discovers the story of a great, great, grandmother who was a runaway slave which helps her find her own “true North.” Ms Lester is herself a consultant on ethnic diversity, is often heard on NPR and was a finalist for Barbara Kingsolver’s Bellweather Prize. Very, very impressive. A Girl Named Mister Nikki Grimes (Zodervan) $7.99 This just came out in paperback and we are glad to offer it—Grimes is quite prolific (she has written over 50 books) and has been a winner of the coveted Coretta Scott King Award and has been cited as a Notable Book author by the American Library Association. This story unfolds as a set of poems — it is ingeniously done. It is the story of an African American teen who gets pregnant and, in her crisis, discovers the story of the Biblical Mary, who is also young and oddly pregnant. Feeling abandoned, Mister (whose real name is Mary) is drawn to Mary’s story As it says on the back “together both young women discover the depth of God’s love and the mysteries of his divine plan.” This would appeal to those who may like the form of poetry to tell a cohesive story, or about how a teen in a very contemporary situation can find comfort in an ancient, Biblical story. Kind of a Christmas book too. Pilgrim’s Progress John Bunyan Retold Gary Schmidt, illustrations by Barry Moser (Eerdmans) $16.50 Which this was a large sized picture book it received so much acclaim for it’s contemporary retelling and striking art. Now it has been reissued as a smaller, hand-sized hardback. Stunning, full of verve and energy and mature insight, this is truly a re-telling (not just an adaptation) and the pictures are sometimes a bit strange. Love it! The Pilgrim’s Progress John Bunyan, edited by C.J. Lovik, illustrations by Mike Wimmer (Crossway) $24.99 This nice-sized edition is more faithful to the text but is still nicely re-worked for modern readers and hearers. The pictures are quite handsome, if fairly traditional, and they almost remind one of the vivid, realistic portraits done by N.C. Wyeth for Treasure Island and the like.) Rave reviews from Joni Eareckson Tada, Elyse Fitzpatrick, Starr Meade, Kevin Belmont. Okay for Now Gary D. Schmidt (Clarion Books) $16.99 What a great gift this would be for anyone who loves good writing and a good story, but it is especially good for young fellas. Doug Swietech calls his new place “The Dump” and he isn’t happy that he moved to upstate New York. Some readers will remember Doug as a minor character in Schmidt’s award-winning The Wednesday Wars (which is fantastic, by the way!) It is now the summer of 1968 and Doug discovers something very special in a local library, which unlocks a whole new world and leads to a handful of fabulous adventures. (Hint, it isn’t just a book, but a special part of a historic book: he sees the plates to John James Audubon’s Birds of America.) What a wild and wacky and profoundly good story. Three cheers for this national treasure (and professor of literature at Calvin College in Grand Rapids, MI.) Schmidt’s Newbery Award winning Lizzie Bright and the Buckminster Boy, by the way, is now available in a very sharp mass-market paperback. ($6.99) that would fit in any stocking. And should — it is wonderful. Straw House, Wood House, Brick House, Blow Daniel Nayeri (Candlewick Press) $19.99 Daniel is a friend of the store and he has gotten some serious acclaim for his hip updates of classics, Another Faust and Another Pan . In this thick book he offer four eccentrically written stories, glorious in their playing with four different genres — a sizzling Western, a wild sci-fi, piece, a hard-boiled detective drama, and a grimly humorous Shakespearean an love story who has to cope with Death. It has a few instances of some spicy language, and it clearly not for very young readers. Yet, this odd work is compelling and exceptional. Newbery medalist Linda Sue Park writes “I’m so impressed by the ingenuity of the project as a whole…sheer genius. I can’t remember the last time I’ve read such a clever and successful plotline.” Gary Schmidt, two-time Newbery honoree uses the word virtuosity. Is Nayeri a modern day Lewis Carroll? You will want to give this as a gift to somebody who is up for the challenge given by Schmidt: “Dare to read this.” Then be prepared for some conversation. Apricot Jam and other Stories Aleksandr Solzhenitsyn (Counterpoint) $28.00 After years of living in exile, Solzhenitsyn returned to Russia in 1994 and published a serious of eight powerfully paired stories. These inter-connecting works were called ground-breaking, shifting in setting between pre and post Soviet Russia. Available this fall for the first time in English. The Blind Contessa’s New Machine Carey Wallace (Pamela Dorman Books) $23.95 This is a smallish-sized hardback from a prestigious imprint, but the story has a big, big heart. It is “vibrant, aching” and “magical, rich, and daring.” Ms Wallace is a fan of Hearts & Minds and we respect her work (and her band that plays songs about books, but that is another story) and the faith of her family (her mom has written a book about coping with pain when one has chronic illness, like Lyme Disease.) The “new machine” of this luminous story is the first typewriter. So it is a historical work, a romance, and a book about an artist. One critic wrote “This is a novel that, like the contessa’s dreams, casts a spell of ethereal beauty.” You might know someone looking for that artfully told tale that will carry the away in wonderful prose. This is it. The Seraph Seal Leonard Sweet & Lori Wagner (Nelson) $15.99 This book is a bit hard to explain, making it a natural choice for any eccentric fiction readers you know. It is fantasy, it is. Yet it is about an ancient prophecy that is unfolding (in 2012!) as the world accelerates its descent into massive chaos. Apocolyptic? Sure. Yet there is a journey of love and discover that I can only say blurs the line between fact and fiction. There are some sidebars and teaching parts scattered through as clues are uncovered and next pieces of the puzzle are put together. You may know Sweet as a postmodern evangelist, a Biblical storyteller and student of the times. Wagner is a poet and novelist who has a scholarly interest in (amongst other things) science and culture. Soooo, this is one heckuva ride. Give it to somebody that likes a page-turner, who likes to think, and who will appreciate the cryptic codes and deeply Christian insights. If they have a weak heart, though, go back to the previous novel. This one could be dangerous. 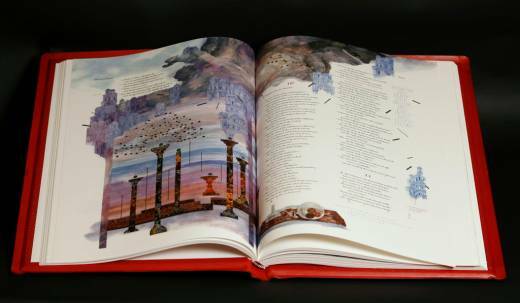 The Saint John’s Bible (Liturgical Press) see below for prices A lavish, special gift that will be remembered for a lifetime? I trust you know that the St. John’s Bible team of artisans has been calligraphing the entire Scriptures for years, now, using tools and materials employed by scribes for thousands of years, issuing large coffee table books year by year. We have just a few of most of them, and can offer just a few on sale, giving you a chance to present a loved one with a breath-taking gift of art and a new way to experience the Holy Word of God. Here’s what we have on sale, while supplies last, offered at $20.00 OFF. Long time since I had contact with you.